Perfectly suites beginner and advanced Outlook user's needs. Supports integration with Outlook rules and Outlook Search Folders. Allows you to use macros for utility parameters to customize filenames, fields, etc. Includes tons of useful utilities and additions that simplify everyday tasks of any Outlook user. Free remote assistance available. This license provides 1 year of free updates. Site license is also available. This type of license grants permission to use the Personal Edition on a single site, with an unlimited number of end users. 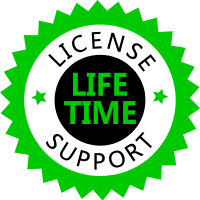 This license is lifetime and includes lifetime support. Great option for Outlook power users and IT professionals. Includes all features of Personal Edition and advanced command line tool. 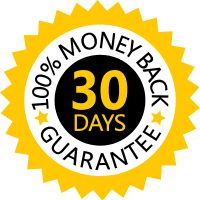 Free remote assistance and batch/PowerShell script writing assistance included. Provides support for bulk processing of PST files and Exchange Server mailboxes (both On-Premises and Hosted deployments including Office 365), integration with Task Scheduler and other benefits. This license provides 2 years of free updates. This license type permits the usage of one particular utility of your choice. Please be advised that you can register one utility on one computer only using this kind of license. There is no way to transfer/copy the license to another utility or another computer. No integration with Outlook rules and support for macros available for this license. This license provides minor fixes only and 1 year of support. The full range of ReliefJet Quicks products family in a single reliable package. Currently this bundle contains: Quick Text, Quick Notes, Quick Folders, Quick Warnings, Quick Reports and Quick Tweaks. Free remote assistance and one year of free updates included. Site license is also available. This type of license grants permission to use the ReliefJet Quicks on a single site, with an unlimited number of end users. Any product from ReliefJet Quicks family is available for purchase separately. Just select the required ones and click the Buy Now button below. Please note that there is no way to transfer/copy this kind of license to another computer. This license provides 1 year of support and minor fixes only.